What is Mingmen? And where is Mingmen located? 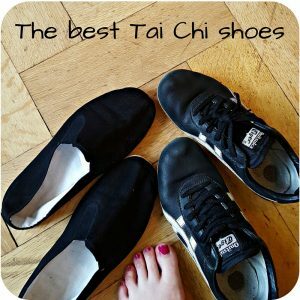 There are a couple of acupuncture points which you should know when you practice Taijiquan and Qi Gong. The most important point (or rather energy field) is the Dantian. And I already talked about where is Dantian and the day I discovered my Dantian. Now I want to talk about the Mingmen. This acupoint is located at the back. As I wrote it The Taijiquan & Qi Gong Dictionary: “It is located aprooximately opposite the navel”. Or: starting from the lower Dantian going back through your belly, as you reach your spine: there is your Mingmen! To be even more precise: Mingmen is on the midline of the lower back below the spinous process of the 2nd lumbar vertebra (L2). Mingmen ist the acupuncture point 4 on the Governing Channel (Gv-4). Let’s have a look at the meaning of the Chinese words “ming” and “men”. Ming (命) means “life, fate” and Men (門) means “gate, door”. Thus Mingmen (命門) is translated as Gate of Life, Gate of Destiny or even Gate of Power. 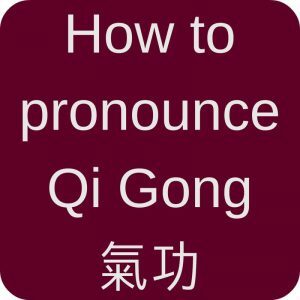 I think this name really show how important Mingmen is and that is is recommended to have that gate open for Qi to flow. However, I think Mingmen is a tricky point because we usually do not put a lot of focus on our back. Except if it hurts, of course. It is a place we do not see easily. It comes naturally to look at the belly or to put the hands where the lower Dantian is. But the back is out of focus. 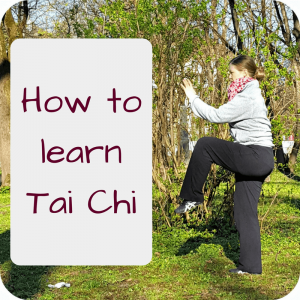 To change that, I like to do this exercise with my Tai Chi students (done in pairs): One student prepares to run the form and as he/she stands in the beginning position, I place my hand on his/her Mingmen. I ask to gently press against my hand, so that the Mingmen actually goes back a little bit. It’s easier if you tilt your pelvis just a bit for this. Then, as the student starts to run the form, I follow, my hand still on the Mingmen. The hand helps to keep the focus on an open Gate of Life while doing the form. Afterwards, we run the form together and we try to keep the focus on the Mingmen even though there is no hand anymore. I think this really helps to get to know this important point! If you want to try this at home (and do recommend that! ), you can just ask someone to put the hand on your lower back. It can be your partner or even your kid! Just place their hand in the right spot and do a couple of moves. Try it yourself! Yes, he actually calls the Mingmen the Rear Dantian! If you want to know more about the similarities and differences of Mingmen and Dantian, I recommend this article. Basically, if Dantian is “Yin”, then Mingmen is the “Yang” equivalent! And then, if you haven’t done it yet: Try the little exercise from above and discover your “Gate of Life”! 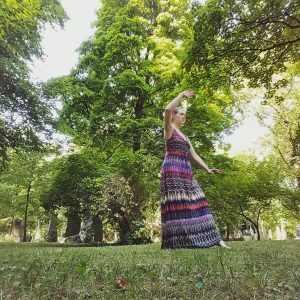 This entry was posted in Definitions and tagged acupoint, acupuncture, Dantian, meridians, Mingmen on 2018-02 by Angelika Fritz.